Find student funding through the Charles Center. The Charles Center supports the research of hundreds of students each year, from small grants to full summer grant. This research may be in any academic field, from music and philosophy to economics and chemistry. The Charles Center also provides a comprehensive support program for students interested in applying for prestigious national and international fellowships, such as Fulbright, Rhodes, Marshall, Goldwater and Truman. If you have any questions, contact us - we're here to help. Charles Center funding is awarded on the basis of academic or other achievement and is not tied to financial need. For information about need-based aid, contact the Financial Aid office. 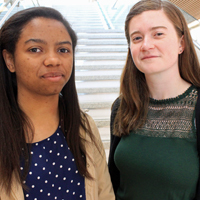 Two William & Mary undergraduates will soon enter into research careers, each backed by a strong vote of confidence from the National Science Foundation. 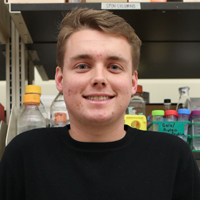 The Goldwater Foundation has announced that William & Mary student Christopher Travis ‘19 has been named a Goldwater Scholar. Ruth Ann Beaver ‘20 was also named an Honorable Mention.